What is my sales dialer? FieldWorkMobility/MySalesDialerPro are an enterprise class (yet very inexpensive) Inside Sales mobile and cloud solutions, utilized by thousands of businesses worldwide! The sales reps are no longer confined to office walls/cubicles and perform only inside sales job instead they prefer to be on the field doing live interactions with the clients, at the same time they want powerful Inside Sales CRM with a mobile dialer to carry on all the aspects of inside sales and CRM from anywhere. Sorry! The app can only be purchased for a device and can not be transferred to another device. For each android or iOS phone one needs to buy the app. This looks good, Can I be reseller/affiliate? Absolutely! We will sign up a reseller license with you and give you hosted app to sell at your price to your customers. The proceeds of the sold app would be distributed to you as per our reseller/agreement with you. Please contact us at 1-510-713-9900 x 111 to discuss in detail. Where Can I buy My Sales Dialer? You can buy app from Google Play for Android version or from AppStore for iOS version. Kindly search for MySalesDialerPro or FieldWorkMobility depending upon your choice or instructed by your company to you. I am interested in the app, but would like additional features? Please contact us with your specific request, so that we can assess the work and give you customized app for you. I downloaded the app but would like support and training? You can separately buy our yearly support and training license. The license would allow you to have a dedicated support from our staff as well as training to most effectively use the product. I would like to white-label this product for my organization? Please contact us! We will create our app with your logo as well as look, which would be available for download from the Android Market/Google Play. Can I record my sales pitch and play during the call? player device and play the recorded voice if you want to leave recorded voice message during the call. The device can play your greeting as soon as it hits the voice-mail. What is the difference between regular and lite version? The lite version provides limited number of contacts and may not have latest updates. The regular version is full featured with latest updates. We recommend using regular/full version. mJobForce is newer version of MySalesDialer with Salesforce integration! FieldWorkMobility is a newer version of mJobForce with enhanced UI and features like task management!! How do I add remote agent from the dashboard? One can add remote agent by logging into fieldworkmobility.com and selecting user menu item "Register Mobile Agent". You can also use our Salesforce AppExchange App FieldWorkMobility to perform this action, if you are salesforce user and wish to manage agents through salesforce. The salesforce app is currently offered for free. How does remote agent gets the data assigned? Once remote agent is activated in the dashboard, from the app, the agent can click on sync icon and download the data after the authentication using the dashboard uid and sms code as password. How will I get the agents work report on the dashboard from the app? How can I get the agents location details at any point of time? Have agent click the GPS icon on the app and report his/her current location. Once he/she has done the reporting through the app. What are different ways to get contact data in the app? The following are the ways one can get the contact data in the phone:Manually adding the contact (click ""Add Contact"" button) Import contacts from Android Phone Book Import contacts from a CSV file.Sync data with online dashboard at mysalesdialer.com and download the assigned data automatically. Does app allows search within contacts? One can create a sms or email template. The template can be very handy feature in sending personalized (automatic name insertion) sms or email while in call prospecting mode or simply from the the contact detail. A custom list or custom campaign is sub-List one can be created based on a specific criteria. 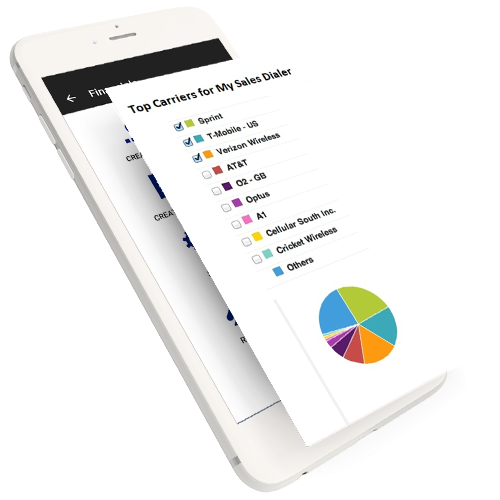 It is very easy to create custom list/campaign using mysalesdialer app. Does app also automatically registers agents location data?